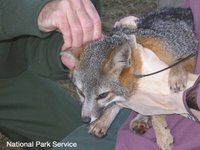 Friends of the Island Fox , Inc. is proud to announce a gift of 10 radio collars to the island fox conservation efforts on the northern islands of San Miguel, Santa Rosa, and Santa Cruz. As captive breeding successfully increases the number of foxes on the northern islands, there will be opportunities for more foxes to be released back into the wild. In addition, more fox pups are being born in the wild to parents that have been released. 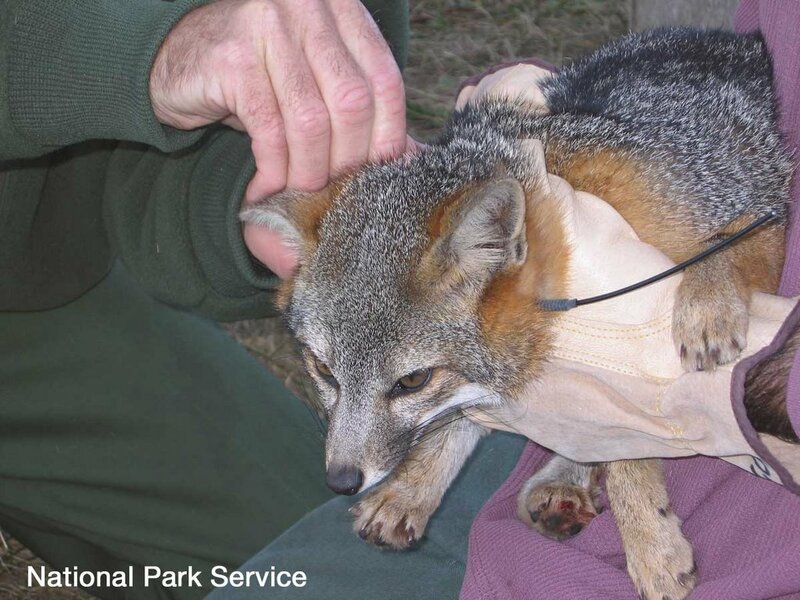 But each of these foxes has a special need – a radio collar. Fox being radio collared for release. 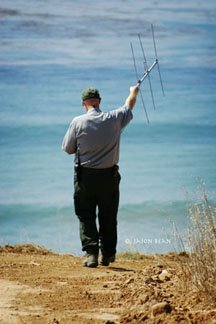 Why do released foxes need radio collars? The radio collar allows biologists to monitor these tiny canines in the wild. A radio signal that indicates a fox has stopped moving is the first indication of an animal in need or who has fallen victim to predation by a golden eagle. The earlier biologists can identify a specific threat from golden eagles, the earlier they can take action to protect foxes or recapture individuals in danger. Though radio collars can now last up to three years, each is a costly investment – $250 per collar. Join us in our efforts to invest in the future for the island fox and make radio collars available for each island fox that has the opportunity to return to the wild. Your donation can make a difference for the island fox. When island fox populations dropped to dangerously low numbers on the northern Channel Islands and Santa Catalina Island, foxes were captured and brought into protective captivity with the hope they would reproduce. Captive breeding allows endangered animal populations a chance to recover while protected from predators or the environmental threat that caused their decline. The captive situation also allows wild animals to receive medical care and guaranteed nourishment they would not normally have. On Santa Catalina Island, the Catalina Conservancy’s captive breeding facility allowed the island foxes to increase their numbers safe from the distemper virus. By the fall of 2004, enough foxes had been produced in captivity to increase the population to a stable number and all of the captive foxes were released back into the wild. 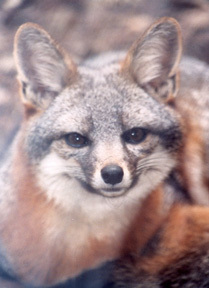 In 1994, the San Miguel Island foxes numbered only 15 individuals. Today, through the efforts of the National Park Service (NPS) and a successful captive breeding program, the San Miguel population is recovering. 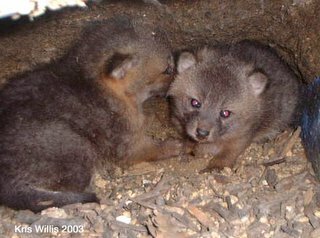 There are 27 captive foxes, 33 foxes that have been released back into the wild, plus 9 pups born in the wild this past year (2005). Today, through the efforts of the NPS and a successful captive breeding program, the San Miguel population is recovering. Captive breeding has also been successful on Santa Rosa and Santa Cruz Islands. You can get the latest update on fox status across the northern Channel Islands at the NPS Fox Home Page.